The GearBest Black Friday sale and Cyber Monday deals are here. 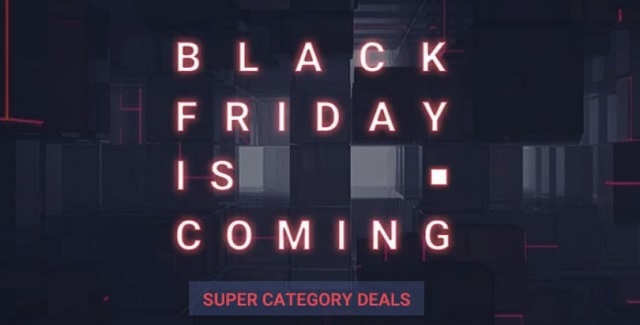 Black Friday is approaching very fast and just like last year, there will be a rain of deals even and after the Black Friday. But why wait for the after the sale, because the pre-sale is here and here you can buy gifts for your near and dear one. No matter even if you use it for personal. The GearBest is offering amazing Black Friday Deals with up to 50% off and many more. 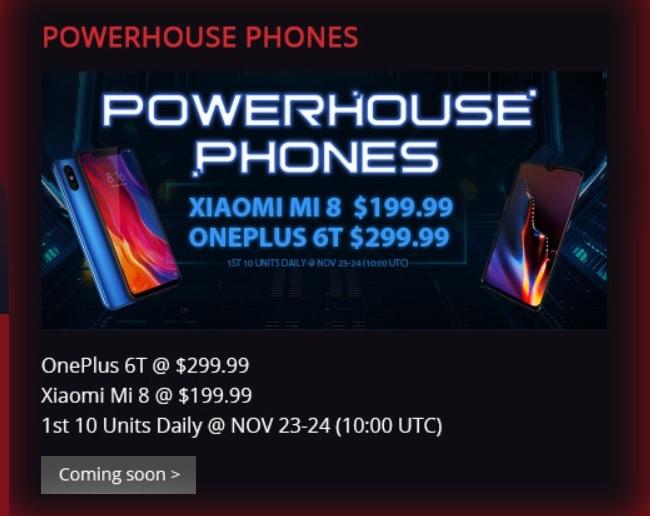 Starting from the powerhouse, the OnePlus 6T will be sold at just $299.99 and Xiaomi Mi 8 will be available at $199.99 on November 23 and 24th but that’s limited to first 10 customers. It’s quite surprising to see the flagship and newly launched OnePlus 6T available at that price. The Xiaomi Mi Band 3 is available at just $9.99 for the first 200 customers on November 25 and 26. Remember the sale begins at 10:00 UTC time. Lucky Turntable Draw: Play and Win Xiaomi Mi 8 smartphone daily. Amazing Lucky Bags: Shop stunning bags and discover mysterious gift from $0.99 to 69.99. Customers from France, Spain, Czech, and Poland ware houses will save $10 over $88. The Xiaomi Mi Box S is available at $55.99 for the 1st 300 customers daily from November 21 and 22nd. $9.99 for any 3 items or $49 for any 3 items with Triple Saver Specials. For those who are looking to buy RC Drones i.e., TIANQU/VISUO it’s available at $9.99 and Creality3D at just $99.99 on first 10 units from Nov 27 to Nov 29(10 AM UTC). Also you get $3 off over $30 from Nov 30 to December 3 on home gadgets and lighting. Following with Friday Deals, there are a lot available for purchase on Cyber Monday with Gear best. Furthermore, if you download the GearBest Android app you will $100 coupon for free. It’s also available on their iPhone app as well. So, that was totally an amazing way to kick off the Black Friday.